I’m going to be on the road at SXSW for the next week. People who are also going should come to my panel on Friday at 5, or attend one of the librarian meetups. And say hi if you see me, here is my schedule. In the meantime I’ll be keeping an eye on the #HMOD debacle and polishing up places to put this logo. 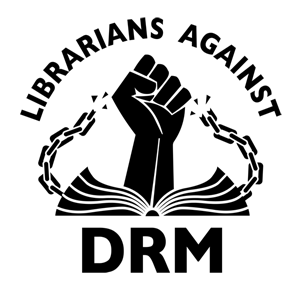 The site, ReadersBillofRights.info, says “Please use these images in support of our work against DRM with the Readers’ Bill of Rights for Digital Books.” Nice list of associated things to read down the righthand side there.